COVER OF THE MONTH: VIKTOR KALVACHEV - MEN OF WAR #2 You know what? I've seriously only just noticed the red skulls in the background. Luckily Captain America doesn't feature any silk-ladden damsels or I'd never know who his arch-rival was! 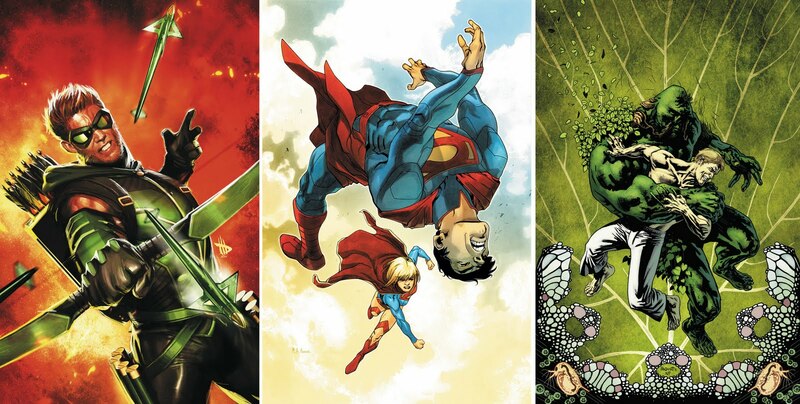 CLOSE CONTENDERS: Dave Wilkins - Green Arrow #2, Mahmud Asrar - Supergirl #2, and Yanick Paquette - Swamp Thing #2. For more DC October frights click the jump. I keep getting drawn back to this post and that gorgeous cover art. The more I see it, the more I love it. I dont really read War Comics but I'm overhauling my pull list so it could be a good time to try something new!